Thank you to all our sponsors who help make RailsConf possible. If you’re interested in sponsoring alongside these companies, check out our Sponsorship Prospectus or email us at sponsors@rubycentral.org. Skylight is a smart profiler that lets you quickly diagnose and resolve performance issues with your Rails apps where it matters: in production. It's built by the fine folks at Tilde Inc, who have spent the last few years building open source projects like Ember, Handlebars and Rails itself. Visit skylight.io to start your free trial. Weedmaps is building the cloud platform for the cannabis industry serving 6M+ users with 12,000+ customer listings. Our tech stack consists of Ruby, Elixir, Kubernetes, Rancher and React and we hire from across the country. Our team is comprised of folks from Amazon, Yahoo, Twitter, Microsoft, IBM, SpaceX, Google, Ticketmaster and Facebook. We are solving problems for e-commerce, logistics, marketplaces and content delivery specific to cannabis. Our headquarters is located in Irvine, CA with an onsite gym, daily lunch and other amazing perks! We are an Agile team focused on innovation, moving fast and establishing the standard for the industry. We take pride in giving back to the community through meetups, conferences and the open source community. Contact us at careers@weedmaps.com to learn more. Heroku, a Salesforce company and industry pioneer in platform as a service (PaaS), enables developers to build and run applications entirely in the cloud, without the need to purchase or maintain any servers or software. Over 5 million apps, including ones from Macy’s, Product Hunt and Citrix run on Heroku. With support for the most popular languages such as Ruby and Node.js, a high-scale data services including Postgres and Redis, and an add-ons ecosystem featuring over 150 cloud application services, Heroku provides companies from startups to Fortune 500 enterprises with a faster and more effective way to create, deploy and manage apps. Checkr's mission is to build a fairer future by improving understanding of the past. Our platform makes it easy for thousands of customers to hire millions of people every year. Using Checkr's advanced background check technology, companies of all sizes can better understand the dynamics of the changing workforce, bring transparency and fairness to their hiring, and ultimately build a better future for workers. Flexport is a platform for global trade in an industry that comprises 12% of global GDP. We’re using software to transform the analog world of freight shipping, equipping the world’s fastest-growing brands with new tools and better data for managing their global supply chains. To date we've shipped more than $20B worth of goods, and we're just getting started. Our goal is to enable a seamless web of commerce around the world, eliminating distance and complexity as barriers to trade. Procore is a leading provider of cloud-based applications for Construction. Our vision is to modernize construction, and we've always led with new technologies that ensure we have a modern tech stack to support our product development. We began using Ruby on Rails in 2006, and more recently became early adopters of React within our Rails application. Shopify is the leading cloud-based, multi-channel commerce platform designed for small and medium-sized businesses. Merchants can use the software to design, set up, and manage their stores across multiple sales channels, including web, mobile, social media, marketplaces, brick-and-mortar locations, and pop-up shops. The platform provides merchants with a powerful back-office and a single view of their business. Shopify was engineered for reliability and scale, making enterprise-level technology available to businesses of all sizes. Headquartered in Ottawa, Canada, Shopify currently powers 600,000+ businesses in 175+ countries. LaunchDarkly is the feature management platform developers and operations teams are using to eliminate risk from their software development cycles. As companies transition to a world built on software, there is an increasing requirement to move quickly, balanced with the desire to maintain control. Modern development teams use feature management as a best practice to separate code deployments from feature releases, so they can turn code on/off without having to redeploy. With LaunchDarkly, teams control their entire feature lifecycles from concept to launch to value. You’re a very good developer… Probably. Regardless, you write bugs. That’s unavoidable. What is avoidable is wasting time trying to track down the cause of those bugs. Sentry.io provides Rails (and full-stack) error tracking that lets you monitor and fix problems in real time. See the severity and scope of any error, get immediate access to the stack trace, connect the problem directly to the commit that caused it, and fix it without delay. 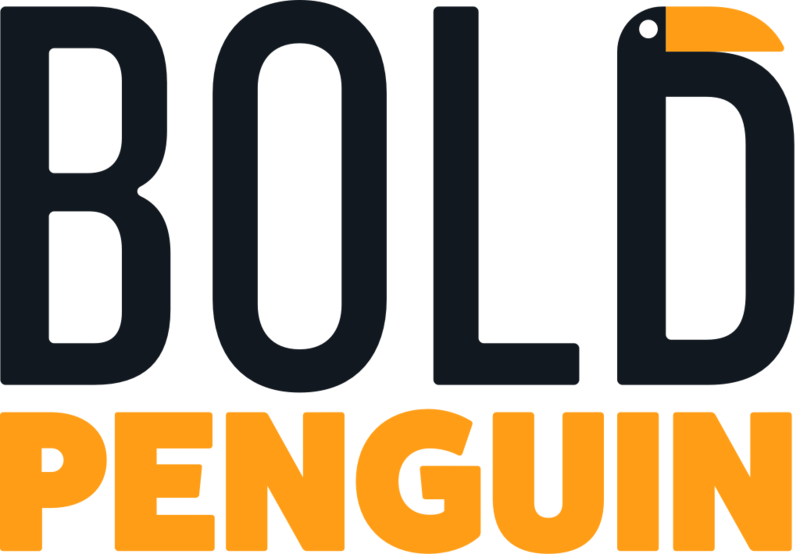 Bold Penguin is the insurtech innovator based in Columbus, Ohio that rapidly increases speed-to-bind for commercial insurance. In 2016, we launched a highly efficient exchange that enhances the connections between customers, agents, and carriers—reducing friction in the buying process for everyone. Integrating technology with the human touch, the exchange is powered by a recommendation engine that’s always learning, utilizing data to predict optimum placement of insurance risks. Citus is worry-free Postgres that is built to scale out. Created by the team at Citus Data—now part of the Microsoft family—Citus is an extension to Postgres that distributes your data and your queries across multiple nodes. Whether you need to scale out a multi-tenant app—or are building real-time analytics pipelines that require sub-second responses—Citus makes it simple to shard Postgres. Our Citus database is available as open source, as enterprise software, and as a fully-managed database as a service. JetBrains creates intelligent, productivity-enhancing tools for software developers to simplify their challenging tasks and automate the routine ones. JetBrains RubyMine (https://www.jetbrains.com/ruby/) is the most powerful IDE (Integrated Development Environment) on the market today, specially designed for developers working with Ruby and Ruby on Rails. It is famous for its outstanding Code Insight features including code autocompletion, code navigation, language-specific inspections with quick-fixes, smart notifications, refactorings, and in-editor quick documentation. The IDE also provides a built-in test runner, debugger, VCS support, and other essential tools supporting cutting-edge Ruby technologies. The best customer experiences are built with Zendesk. Zendesk’s powerful and flexible customer service and engagement platform scales to meet the needs of any business, from startups and small businesses to growth companies and enterprises. Zendesk serves businesses across a multitude of industries, with more than 125,000 paid customer accounts offering service and support in more than 30 languages. Headquartered in San Francisco, Zendesk operates worldwide with 15 offices in North America, Europe, Asia, Australia, and South America. Learn more at https://www.zendesk.com/. Interested in knowing what we do in the community? Check out the Zendesk Neighbor Foundation to learn more about how we engage with, and provide support to, our local communities. GitHub is the developer company. We make it easier for developers to be developers: to work together, to solve challenging problems, and to create the world’s most important technologies. We foster a collaborative community that can come together—as individuals and in teams—to create the future of software and make a difference in the world. The GitHub platform is where developers can create, share, and ship the best code possible. Our community is made up of students, hobbyists, consultants, enterprise professionals, partners and executives, building software in a way that works best for them. Founded in June of 2012, Coinbase is a digital currency wallet and platform where merchants and consumers can transact with new digital currencies like bitcoin, ethereum, and litecoin. We're based in San Francisco, California. Bitcoin is the world's most widely used alternative currency with a total market cap of over $100 billion. The bitcoin network is made up of thousands of computers run by individuals all over the world. Our mission is to create an open financial system for the world by being the most trusted, secure, and easy to use platform. BetterUp is a mobile-based leadership development platform used by Fortune 500 companies that brings personalized, expert coaching to employees at all levels. Through a holistic, science-backed methodology, BetterUp develops new leadership behaviors and mindsets that enable high performance amid constant and accelerating change. Through on-demand, virtual coaching sessions — powered by in-platform video and messaging capabilities — users practice and reinforce new behaviors and skills. Individual growth is measured and tracked with indepth dashboards. And hidden cultural and behavioral gaps are diagnosed and closed at the organization-level, connecting learning to measurable ROI. BetterUp inspires employees to build the skills to thrive personally and professionally. Coupa’s Business Spend Management (BSM) Platform enables finance and procurement leaders to track, manage, and analyze all business spend in one place. From sourcing to payments, supplier management to spend analysis, Coupa maximizes spend under management, helps achieve significant cost savings, and drives profitability through it’s unified, cloud-based BSM platform that connects hundreds of organizations representing the Americas, EMEA, and APAC with millions of suppliers globally. Businesses use Mode to turn data into a force of gravity that brings people—data experts and domain experts alike—together to solve their hardest problems and drive action. Mode is an integral part of data science workflows at Lyft, Twitch, Intercom, Patreon, Shopify, and 700 other data-savvy organizations. Headquartered in San Francisco, we come from all kinds of places and perspectives and work together to make our product—and our community—the best they can be. KnowBe4, Inc. is a high growth information security company. We are the world’s largest provider of new-school security awareness training and simulated phishing. KnowBe4 was created to help organizations manage the ongoing problem of social engineering. Tens of thousands of organizations worldwide use KnowBe4’s platform to mobilize their end users as a last line of defense and enable them to make better security decisions, every day. We are ranked #1 best place to work in technology nationwide by Fortune Magazine and have placed #1 or #2 in The Tampa Bay Best Workplaces Survey for the last three years. We also just had our 23rd record-setting quarter in a row! We are looking for talented Ruby on Rails engineers to join our growing team. Helping the world play smarter and live more, SportsEngine, Inc., an NBC Sports Group company, is the leading provider of Sport Relationship Management software for more than 1MM clubs, leagues, governing bodies and associations. SportsEngine helps sports organizations around the globe reduce the time they spend on administrative tasks, and enables them to focus more on developing their athletes, providing safe experiences and furthering the love of sport. Learn more at: http://www.sportsengine.com, Facebook.com/sportsengine; or twitter.com/@sportsengine. Tidelift makes open source work better—for everyone. Through the Tidelift Subscription and in direct partnership with maintainers, Tidelift is a single source for proactively maintained open source components and professional assurances around those components. Tidelift makes it possible for open source projects to thrive, so we can all create even more incredible software, even faster. Founded in 1998, Finalsite is a global leader in SaaS web solutions and digital marketing for the education industry, serving over 2000 schools in more than 80 countries. We're recognized for our award-winning design, inbound marketing tools, best-in-class web software, strategic marketing services, and integration with third-party data providers. We're based in Glastonbury, CT with an office in London and a team of 200+ around the world. For more information, please visit www.finalsite.com. RingCentral Developers was designed to enable businesses of all sizes to take their communications to the cloud, decreasing costs and increasing productivity. With a suite of powerful APIs for phone and voice, SMS/ MMS, Glip business messaging, online meetings, and fax - you are not only able to control all aspects of your business communication via a single source, but truly revolutionize your business communications by extending and integrating the features that give your business the edge. Don’t just be a developer, be a game changer.